Throughout this project I have written a lot of post and have shared a lot about my personal bowling. I have shared a lot about my bowling knowledge and have really enjoyed talking about my personal bowling. I think being able to talk about my bowling and share my insight to bowling is really fun. I feel like I know a lot about the game of bowling and being able to express my opinions and share my knowledge is amazing. I haven’t had the opportunity to bowl in awhile but I will be practicing in the summer a lot to get ready for next year. Hopefully everyone enjoyed that read my post and maybe you learned a few things as well. Everything I have posted during this semester has opened my mind up to becoming a coach. I really enjoy being in the bowling alley and being around bowling. I haven’t enjoyed bowling for myself for a few years so hopefully this summer will turn things around and make bowling more enjoyable. I hope everyone learned something during my semester long posts and I hope that you all can continue and want to learn more about the sport and help grow this sport. The new rules that the USBC have came out with have a very interesting feel for the new bowling world in 2020. They are trying to limit the amount of oil that can absorbed into a ball during testing. Normally a bowling ball that is stronger will absorb oil faster to make the ball last a little longer. They haven’t specified the numbers for the public and I don’t think they will publicizes them just because its more for the companies that produce balls and not so much the consumers. The big change is static weight and weight holes for bowling balls. In bowling you are allowed 1oz of static weight. Anything higher than 1oz is illegal and normally you would and a weight hole to make it legal. A lot of bowling balls nowadays people are adding holes to make the ball hook even more. The USBC is making that illegal because it changes the integrity of the ball too much. Instead of just 1oz they are changing it to 3oz of side weight/ static weight. The weight hole for me makes the ball hook earlier depending on the location and it can make my ball hook more. The only thing that doesn’t make sense is that the cover of the ball is most of the reaction and changing the core dynamics will change the motion but not as much. Surface of a ball is 95% of the reaction of a bowling ball. You can drill 4 balls the same way with the same everything but the surface of the ball is different and the ball will react different. The changes will make a huge difference in bowling especially for the 2 handed delivery. 2 handed bowlers are taking over the sport and the amount of power and revolutions they create is just insane. The USBC is trying to limit the amount the oil breaks down within a league or tournament. It is sad that they are trying to limit such gifted players to the sport. 2 handed bowling isn’t easy and it takes a lot of athleticism to be good at that style. The sport is always evolving but it seems like that the USBC is traveling back in time and trying to make the sport harder. The weights will make a difference for a lot of bowlers but they don’t seem to think it will change. My thinking of the changes is that bowlers will use a lot more surface and stronger equipment a lot longer. Tune into the next post for more bowling information! The motivation to bowl right now is just non existent at this point in time. The school work is piling up right now and trying to find time to practice is becoming a challenge. Most of the time I have so much homework and projects going on that it is becoming harder and harder to manage all of it. Especially since finals are right around the corner its even harder. Trying to finish papers and projects to find time is starting to stress me out even more. I probably wont be bowling until I get done with finals so the next couple posts will be more about bowling information and bowling news in the bowling world. I will have a very good topic to talk about the next post about the changes in legal amounts of top weight and weight holes. 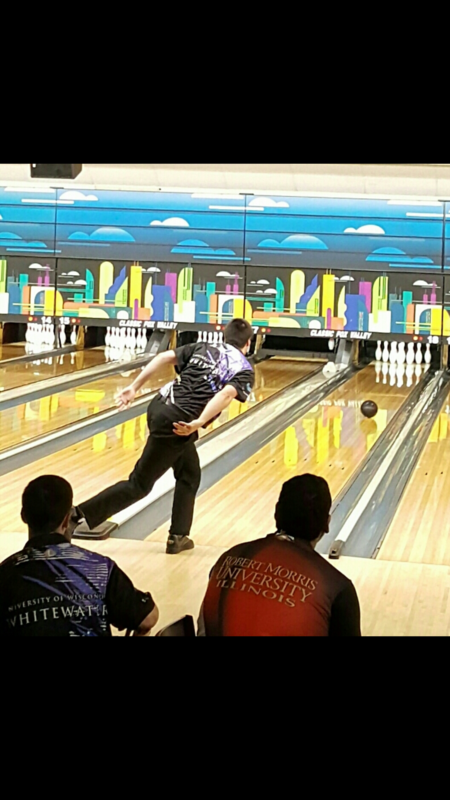 The USBC has made a lot of rule changes to the bowling industry and most people have a lot of comments about the new rules that are changing in 2020. The changed the legal top weight to be 3oz instead of 1oz and then they changed the weight hole. They are eliminating the weight hole and making it illegal to have on equipment. tune in next post to hear about my thoughts and a little more information on the other rules as well. Had another great practice and learned some new things within my game. I decided to take a video over the weekend and sent it to my dad. He saw that my footwork was a little off and I decided to fix that. I am a 5 step approach and my dad noticed in the video that my first 2 steps were on and it was throwing my timing off. I generally have a very smooth slow footwork for a tall person and a lot of college coaches have complimented me on that. Footwork is one of the biggest issues for most people because if your steps are off then when you get to the line the ball can be in so many different positions. My first 2 steps were too big and it made me cramped at the foul line. What I mean by that is when I was done sliding the ball was near my shoulder and I had to pull down to be able to get the ball down the lane. When you pull down on the ball your accuracy immediately goes down. Typically when I am late I get a lot of revolutions(spin) on the ball and I miss my target left. I decided to move up on the approach for a little to force myself to keep my steps shorter but once I got my steps super short I went back to the old spot I stand. This just makes me feel like my steps are shorter and forces me to be slow and short to the line. Once I got my timing more in sync I was able to throw really good shots and started to hit my target more often. My spare game has increased as well from the last time I shot at spares. I started to make more and hit the pin directly in the middle like I use to. Tune in to this weekend for more bowling information! you can use just about any style and type of ball on any pattern it just depends on the layout and surface of the ball. More importantly it all matters on when you try to use this type of ball you’re choosing. Generally like I said in a previous post you would really want to start with something solid on most patterns to start because it will be the most consistent for the longest. The thing that matters the most with bowling balls is surface. For me I tend to use a really low grit on a bowling ball like 500 grit on longer patterns because the ball won’t hook as much so putting it at a lower surface will get it to start earlier. For medium patterns I tend to use a 1000 grit pad on a ball and try to control the pattern as much as I can. If I use urethane on short then I will put at least 500 grit on a ball. 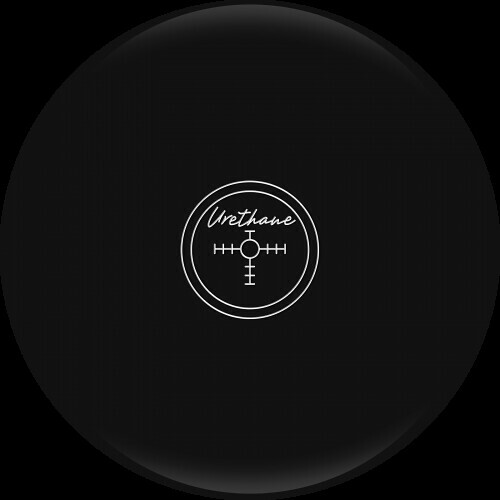 If I don’t use urethane my surfaces change depending on the strength of the ball. 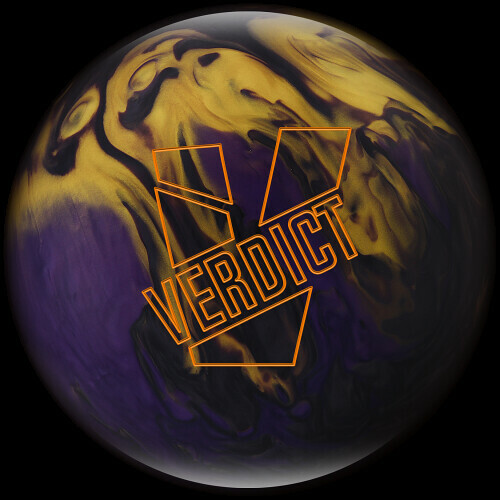 Knowing what balls work well on each pattern is the key to success and if something just doesn’t look right being able to adjust your release or even your surface if you can will make you a better bowler. Finding the right surfaces for certain balls is all the battle in bowling. A bowling balls reaction is largely based on what surface you have on a ball. Tune in next week to learn something new about bowling. The last practice I had was with my roommate just before he headed out to nationals. We both started out just throwing the ball and not really trying to work on things but then later that practice something just sparked in my brain. I changed my hand position and I started to have a different feeling at the bottom of the swing. The hand position I changed to normally makes me get around the ball less than I was before, but then when I started to throw it with the weaker position I was still getting the same results. Normally bowlers have different hand positions to create different rotations and when I changed it stayed the same. It was like a lightbulb went off in my head and I started to throw it so amazing. I still had some physical things to changed that would make my timing better but I am happy that I got my release down because it was really inconsistent. Bowling is a sport about repetition and being consistent. Bowling is one of the hardest sports in the world and most people don’t agree or don’t understand why. Bowling is one of the only sports in the world that you don’t see your opponent. You may say “well you’re bowling against people isn’t that opponent?” well you are right in a way but the oil is the biggest battle. Everyone is bowling on the same pattern but the oil breaks down in a different way on each pair. Getting to know your own game and your versatility and what your misses are is what the sport is all about. Oil is constantly changing and each shot that is thrown down the lane is changing the oil pattern. My next post I will talk about different oil patterns and what bowling balls would work the best. I will also talk about what balls and styles of balls I would normally use on a specific pattern. The bottom picture use to be one of the most popular bowling balls on the market before the day of resin bowling balls. The urethane bowling ball is a lot different than resin. They are both needed in today’s day and age because of different oil patterns. Urethane balls are a little softer and tend to hook a lot sooner than resin balls. Resin bowling balls tend to store more energy and hook a lot more. Urethane balls work really well when the oil pattern is shorter and lighter volume. The reason you would use this kind of ball is because they will start early and they will be really smooth. If you use a reactive resin ball you will tend to get a lot more violent reaction. Very few people can use urethane on all patterns but when they do it is very risky. Reactive resin will be good on just about everything and they will be longer and more angular than urethane. You can do a lot of different drilling’s on a resin ball and can make it do a lot of different things. The urethane ball is very one dimensional and it is very hard to make the ball do anything different. Urethane balls use to dominate the scene back in the day but nowadays reactive balls are taking over the market and will continue to dominate the game today. To most people these bowling balls are the same, or will do the same thing. Most people just pick up a house ball and don’t realize that bowling balls are different in many ways. The examples that I have above are 2 different cover stocks on a bowling ball. 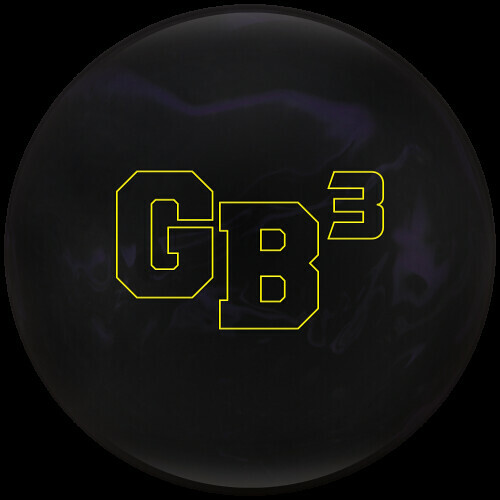 The Game Breaker 3 is a solid bowling ball and the Verdict Pearl is well a pearl bowling ball. Bowling is a very scientific sport and every little number can make a difference within bowling. The reason why I wanted to bring this topic up was because people just throw the ball and think that they all do the same and they are all meant to hook. Well that is just not true, solid and pearl bowling balls are very different. Solid bowling balls tend to hook earlier than pearl bowling balls. The reason why you would want this is because when the oil is fresh you want the ball to start sooner that way it gets to the pocket better and more consistent. Pearl bowling balls tend to go longer down the lane and have a sharper turn on the back end. You would want this later in the day when your solid ball is hooking too early. The pearl ball will get down the lane and make it so it doesn’t hook early. You may ask, well why can’t I throw a solid later in the day or throw pearl on fresh oil? Well solid bowling balls like I said will hook earlier and when people bowl the bowling balls soak up oil and tend to push it farther down the lane. So if there is no oil in the front part of the lane then the ball will hook immediately and in most cases will not strike. The pearl ball needs to see friction to be able to corner down lane and if it doesn’t see that friction then it will not make the right motion down lane. To much oil on the lane can make the ball not react how it’s suppose to. Most bowlers will carry different hook potentials of these 2 types of balls so that way they can throw strong solid stuff at the start and gradually work there way down their arsenal. High School bowling is always a difficult time for some bowlers and some schools. Then again some people on my team currently have had amazing success in high school. 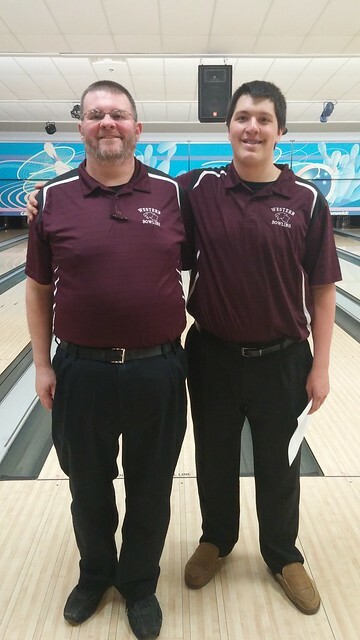 For my team in high school it was very difficult because me and one other bowler were actually really good and we were consistent. We never made it to states as a team but I made states back to back years for singles. Which was never done at my school so it was a rather lack luster bowling school. High school bowling is almost meant to be fun and people don’t take it seriously because it doesn’t get you anywhere really. College bowling on the other hand is a completely different animal. College bowling is just a whole other animal than high school bowling. When I was in high school I was a big fish in such a small pond and when you go to college you are bowling the best from where ever they are from. Depending on where you go to college the team can be the same as your high school but for me it wasn’t even close. Our lowest guy on our team currently would have been pretty good on my high school team. That just goes to show what the depth is in a college program. We are currently ranked 2nd in the nation and we are beating teams that have such a deep program and have had a deep program for years. The 8 best guys on our team are about to go to nationals and go up against the best schools currently bowling in college. People don’t understand that bowling is actually competitive and people take it very seriously. To be ranked 2nd in the nation and we are a club sport is just insane. Non of us get money to bowl here and we actually pay to be a member of the team. Not many colleges in the rankings are really high that are clubs. Most colleges offer players money to bowl for them and we pay out of our pocket to bowl. We are a threat to everyone and everyone is now starting to realize that we are a good program with just good bowlers. Like I said in another post before, we don’t have a lot of super well know players that bowl on tour or on jr team usa. Although we do have 1 bowler that is on jr team, some teams are stacked with those kinds of players. The thing that is different from high school to college is that the gel factor plays a big roll in college. 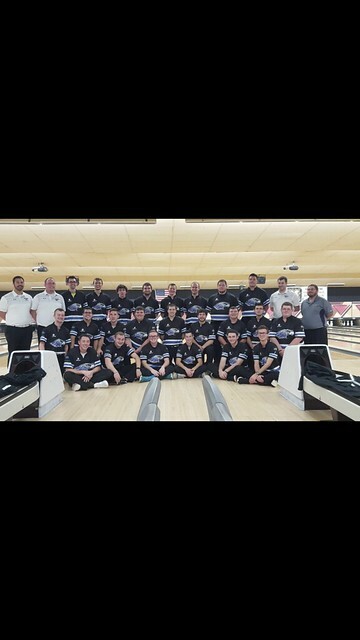 In high school you just want the best players always bowling. In college you can be the best bowler in the world but if you aren’t a good teammate then you won’t travel with the best. everyone has been a big fish in a little pond on our team, but now you are a fish in a pond just like everyone else on our team. We worked really well together and we will continue to be successful in these next few years. Tune into this week where I talk about different types of bowling balls. Whether they are solid or pearl. I will also talk about resin vs urethane in the post after. The other day I had a rather interesting practice session. I haven’t touched a ball in about a week and I really didn’t find a need to go practice. The need and drive to go practice isn’t there right now and I am just really focused on school currently. To start the practice session was just terrible the first half hour, but once I calmed down and just focused on my fundamentals I started to throw it better. I am not even close to where I want to be but I am at a better spot than I was Thursday when I bowled. Although I scored really well on Thursday I honestly didn’t throw it that good. My shoulders and my arm swing were so out of tune it was insane. My roll on the ball was so bad and I just got lucky that night. I was lucky that I was in the right part of the lane and throwing it decent enough that I could hit the pocket. I started to throw it better once I calmed down and got some games under my belt. The main thing I need to work on is just my swing and my shoulders within my game. This weekend I will be talking about some bowling information. I will be talking about the difference between college bowling and high school bowling. I will talk about how big of a change it was for me and how it is a completely different animal. Tune into this weekend to hear my side of the story for how I transitioned from high school to college.